stinks and in a bad way! Stinks and in a bad way! I will watch Extra for the interviews if the interview is a good one. Like Sly Stallone and the new movie the Slyster in the I will watch Extra! 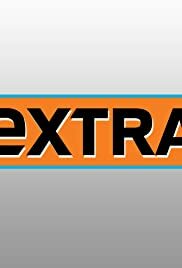 Regrettable Extra is like those sensational magazines in the front check out at your local supermarket. Gossip, P R, agent spins, the flavor of the day social issues etc is the formulated content. I find Extra more noise from an over self promoting Hollywood. Please change the channel quick before you get a headache. Well if your into the Hollywood mags, which I am not, you will like Extra. 1 star.